O’Reels Casino has been running since 2017 and is powered by Progress Play, a well-known gaming platform that owns around 70 online casinos in total. Some of O’Reels most popular sister sites include Jackpot Jones, Pots of Luck and Prospect Hall. Slots lovers are often huge fans of these online casinos, so we’re looking forward to discovering how O’Reels measures up. O’Reels is dual licensed by the Malta Gaming Authority as well as the UK Gambling Commission. Progress Play certainly know what they are doing. Therefore the all-important licensing, safety, security and fair play measures are firmly in place. 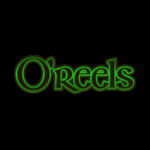 The casino title ‘O’Reels’ and its logo design (emerald green Celtic lettering) give a strong initial impression of an Irish-themed online casino. However, the theme falls a little flat beyond the logo; other than a few Irish slots such as Rainbow Riches, nothing else is remotely related to the theme. Even the backdrop is simply plain black. However, we certainly aren’t short of Irish-themed casinos in the online gambling industry and a toned-down theme might just be your thing. It’s about the games and promotions ultimately, right? Luckily O’Reels makes up for an unimaginative theme with a great spread of online slots and casino games from a multitude of first-class providers, plus exciting and enticing promotions to keep your gameplay fresh and full of entertainment. O’Reels packs a lot of games under its roof – more than 350 of them in fact – with many provided by renowned software developers such as NetEntertainment, Microgaming, NextGen and ELK Studios, plus many more. These providers offer up some of the most popular games titles in the gambling industry, so players can expect access to many of the most in-demand slots and casino games out there. It is possible to filter O’Reels’ range of games by a specific provider for those who have a preference; alternatively, you can use the search bar to locate an individual game, or simply through an impressive collection and take your pick. Slots and casino games are available in abundance, with some of the latest slot titles including Reel Talent, Wild Bazaar and Romanov Riches. Old favourites at this slot-focused online casino include Starburst (NetEnt’s iconic slot game), Emoticoins, Panda Pow and Jungle Spirit: Call of the Wild. There is, of course, a varied spread of themes, pay lines, reels, features and more across this impressive range of slots. Some online slots are linked to enormous progressive jackpots, so if the big win is your dream, be sure to check out jackpot titles such as Heart Burst Jackpot, Treasure Nile and Cash Splash. There are 16 jackpot-linked online slots to indulge in. O’Reels includes casino games in its offering, with the usual Roulette, Blackjack and Poker staples and a few exciting varieties. Probably the most exciting is the live dealer collection by Evolution Gaming, featuring Blackjack, Roulette and Baccarat. If you’re wondering what the ‘Casual’ games section covers, this is a miscellaneous area covering relaxed and fun games such as Keno 4, Boss the Lotto, bingo and scratch card games. O’Reels casino works with several world-renowned businesses which specialise in online transactions of the highest security as well as high-level fraud protection. As a result, their banking options are as secure as one can expect. Payment methods are varied; choose to deposit and withdraw by Visa or Mastercard, or skip the credit cards and use a modern method such as Pay by Phone, Neteller or Skrill. The casino also accepts PaySafeCard, Trustly, iDeal, EcoPayz and a simple bank transfer. Withdrawals often take between 3 and 7 business days and there is a £2.50 minimum (or a £50 minimum withdrawal for bank transfer). If you’re new to O’Reels Casino, upon registering you can expect to enjoy a 100% welcome bonus as well as free spins. After an easy registration, place your first deposit and double your money with a pretty generous 100% deposit bonus offer up to £200 and free spins on top slot games. So, deposit £10 and play with £20, or deposit £200 and play with £400 – the choice is yours. There is, however, a 50x wagering requirement on this welcome bonus offer, which is pretty standard. 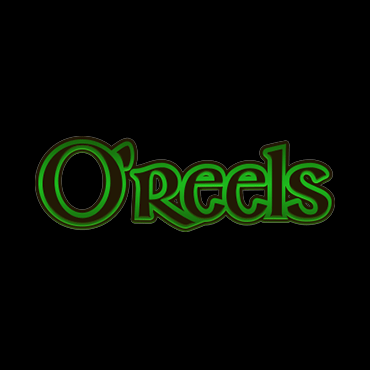 O’Reels also showers members in promotions throughout the months, including many seasonal offers and monthly promotions which can include free spins, 30-60% deposit bonuses and weekly bonus surprises. Watch out for special offers such as winning your share of £25,000 cash, or specific live dealer promotions with 30% cashback up for grabs. Despite an excellent range of promotions to suit all tastes, we were slightly disappointed to find a lack of information on a VIP scheme for the most loyal of players. O’Reels redeems itself with a fantastic customer support service which will make all players feel VIP. The professional team are available 24 hours a day, 7 days a week and can be contacted by live chat for an instant response. If your enquiry is less urgent, you can utilise the given contact form or send the team an email, There is also a detailed Frequently Asked Questions guide available to browse whereby you should find answers to generic questions and queries. The site is quite plainly designed and offers up the typical Progress Play interface that we are used to navigating by now. Even for new players, however, the site is easy to use with a clear, concise menu of Promotions and Support, in addition to an extra menu for games types. Optimised for mobile use, O’Reels is fully responsive on tablets, mobiles and desktop PCs, regardless of the software used. This makes it the perfect choice for spinning reels on the go as well as during your relaxation time at home. We would have appreciated a little more effort with the theme, but the variety of casino slots games, as well as good customer service and promotional offers more than makeup for it.